This too can be yours! I think it needs a couple more bolts. Holy freaking sh*t what was he on when he thought that was a good way to fix that scarf joint. Thank God it's only a Striker neck. But come on people!!!!!!! Fixing it like a boss . Re: This too can be yours! 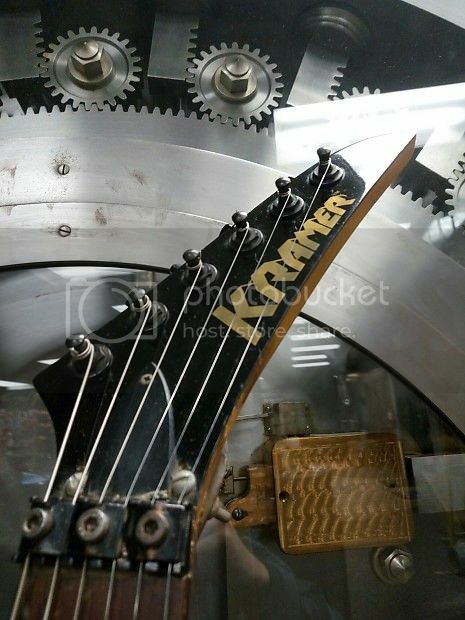 Damn...never saw a steampunk Kramer before. Certainly looks comfortable in the hand when playing first position chords! 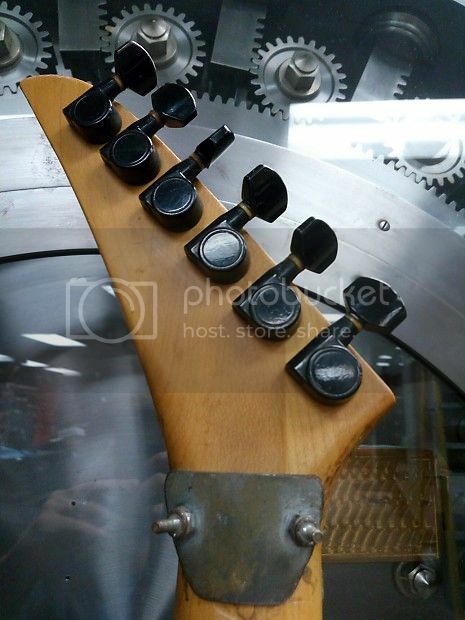 I wonder if the headstock originally snapped off by being accidentally stuck into those gears in the background. Speaking of which, where the hell was this taken, anyway? Inside the clock tower from Back to the Future? errbt wrote: Damn...never saw a steampunk Kramer before. 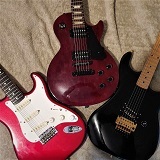 Indeed it was the very same guitar not shown in the film when young McFly cranked the amp so loud the head stock broke when Marty flew across the room. There the cat's out of the bag.